...but what to do about the ZOMBIE... 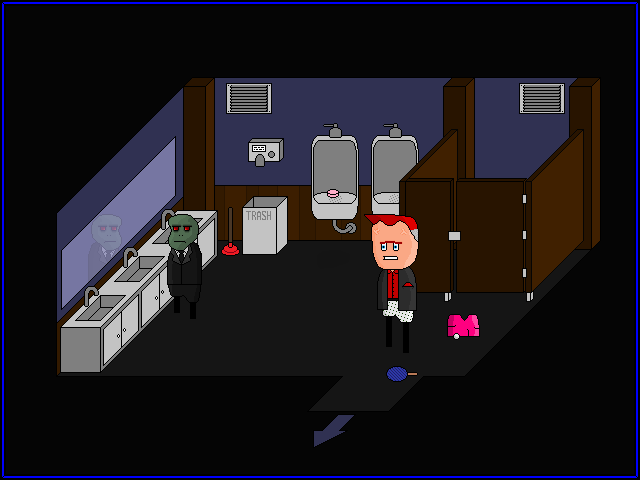 Lock yourself in the STALL and talk to ZOMBIE? Enter stall, then WEAR PINK SHORTS.